Smoke detectors are pretty effective when you're close enough to hear them. But if that iron you forgot to turn off starts a fire when no one's around, a conventional alarm won't do you much good. Roost is a different kind of alarm that's smart enough to send alerts via text if it senses smoke or carbon monoxide in your home, WIRED reports. Roost connects to your house's Wi-Fi network to communicate with your phone no matter where you're located. It works with a companion app that lets you know exactly how much battery life you have left and when to change it, something a lot of smoke detector-owners have trouble keeping up with. And if the alarm is ever set off by a false trigger like burnt toast or an extra-steamy shower, it can be shut off quickly by tapping a button on your phone instead of scrambling to find a way to reach the device itself. 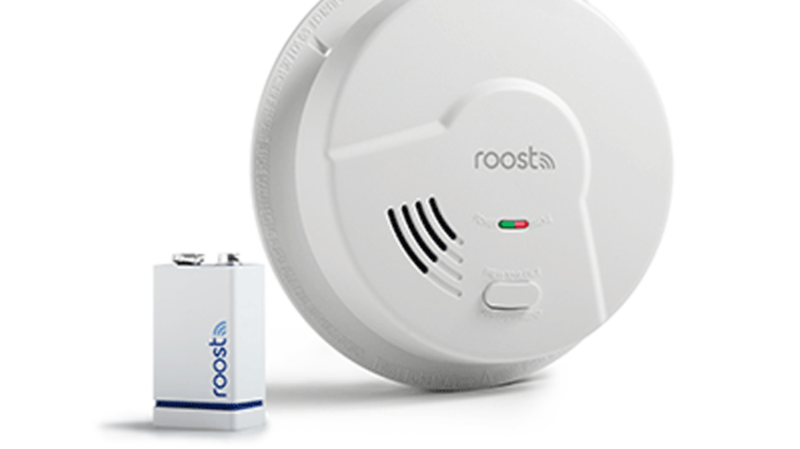 With Roost, though, that may not be much of a problem—the company claims that their product is better than most detectors at distinguishing so-called "nuisance alarms" from the real thing. The RSA-400, which detects smoke, fire, natural gas, and carbon monoxide, is retailing for $80, and the strictly smoke-and-fire-detecting RSA-200 is going for $60. Roost also sells a smart battery for $35 that has the same Wi-Fi-connected capacities as the full device and can be inserted into the 9-volt slot of your old alarm at home. All three products are available to purchase from their website.